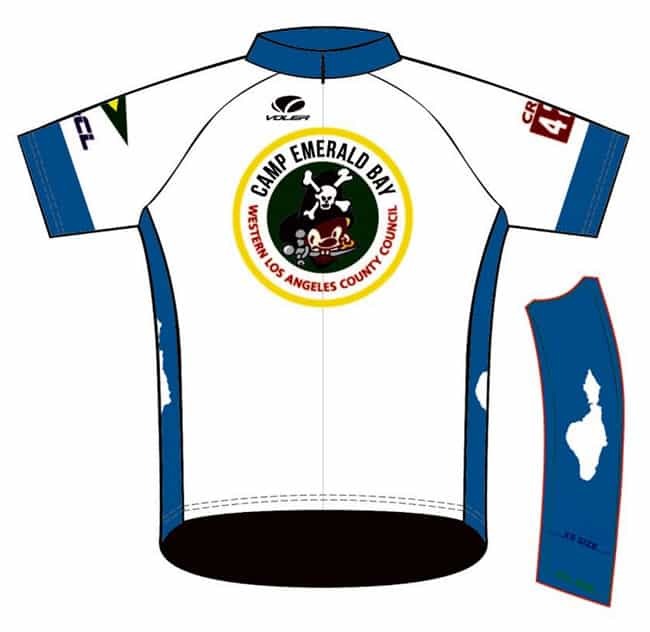 The design features a vintage Camp pirate design on the front. 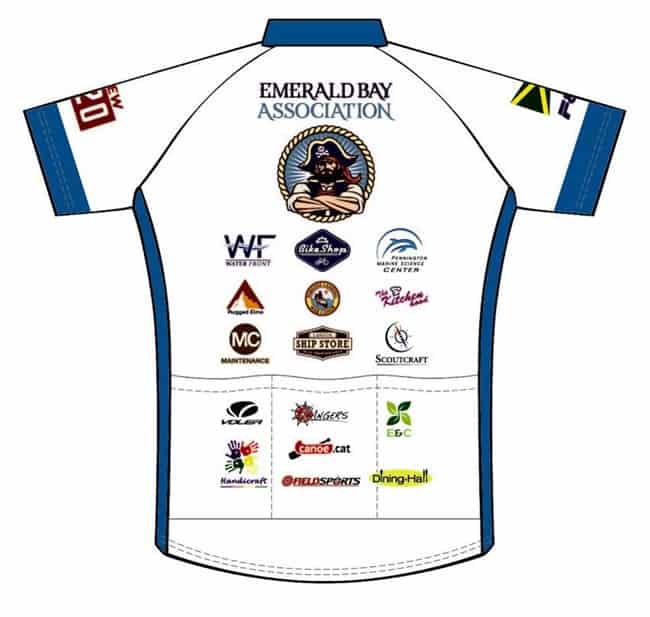 The back includes the EBA logo at the top, plus logos for all of the areas in Camp. Everyone is represented! We have decided on three types of jerseys with two separate types of cut. FS Pro – The best quality Jersey that Voler makes. Velocity – This is the “Skin suit” type material that you see on the Olympic time trials riders. Race Cut (for those that ride every day, have single-digit body fat, and don’t mind a tighter fit). 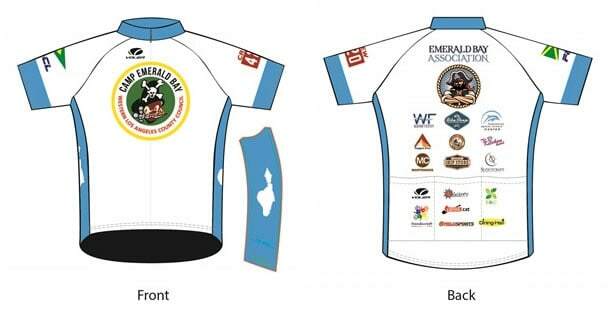 Jerseys are available for both men and women. Be sure to read the size chart carefully because there is no returning these specially made jerseys once they are delivered to you. Some guidance on sizing: Our chairman, Dave McAlister, is 6’2″ and weighs 195 pounds, so he’ll be ordering the Equipe Short Sleeve in Large Club fit. (He has another Voler Jersey in this same fit and style and likes it a lot). Lee is pretty much the same height as Dave, but weighs about 15-20 pounds less, so he would fit into the same Equipe (or FS Pro) type jersey in a Race Fit. You will need to place your order directly through the factory — and you must order before April 2nd. This is not a fundraiser and the cost is what it is directly as charged by Voler. Lee, Jeff, and the others did all the leg work on a strictly volunteer basis. It will be a great conversation starter!